Size : 28.2 x 28.5 mm. Weight : 6.38 grams. Grade : gVF with great surfaces for an iron coin of this period. 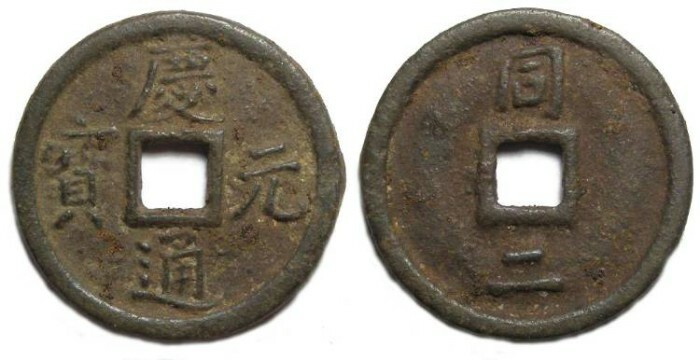 Reverse : "Tung" at the top, and the year mark for 2 at the bottom.